Historical corsetry and especially Edwardian corsetry is special to me. The unusual lines creating lovely shapes just grabs me every time. 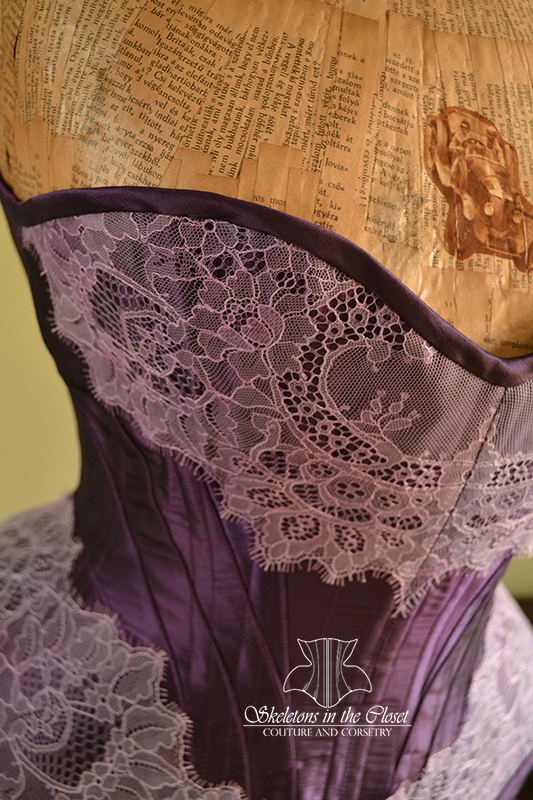 This time I made an Edwardian corset out of silk. For pattern I used the s-curve pattern from the book corsets and crinolines. I did change the bust a bit to give it a bit of a more sweetheart shape. What is so special about Edwardian corsetry are panels. Where in modern Victorian style corsetry boning follows the lines of the corset in Edwardian corsetry this is not the case. The boning does not follow the seams of the corset but go across all seam lines. It is not entirely visible on the corset due to the lace, but I hope you can still see it. 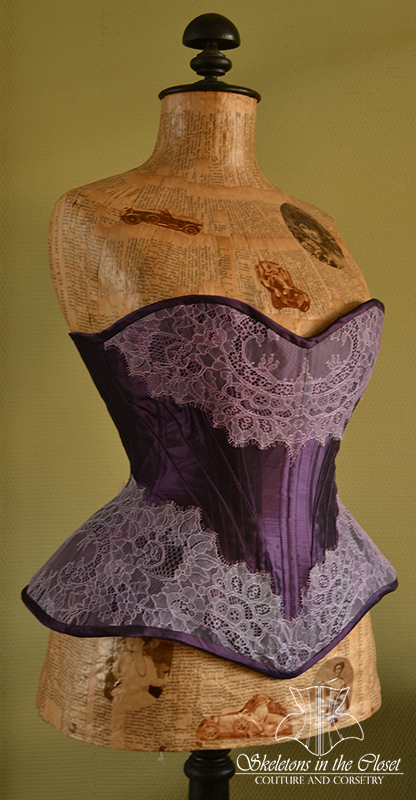 This corset is made with purple Italian silk taffeta, a coutil strength layer and a soft cotton lining. The lace I used for this corset is a high quality lace that was white. 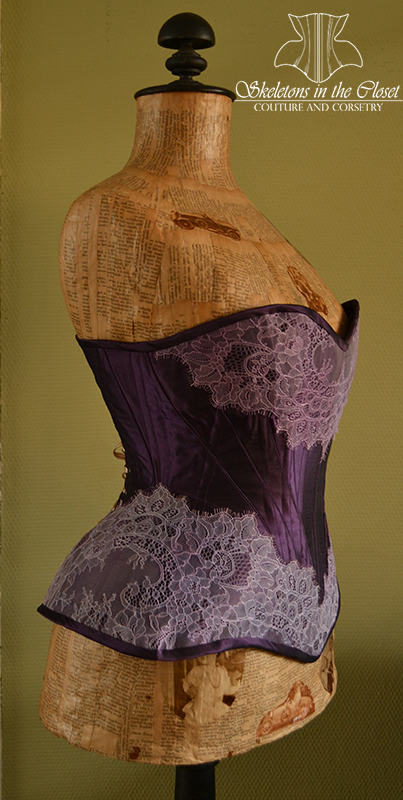 Together with my mother in law I dyed it in a liliac shade to match the purple of the corset better. This style of lace is so lovely and delicate. As you can see the dummy is a tad to big for the corset making the hips flare out a tad more than they should. I hope to get this corset shot on a human beeing this spring. 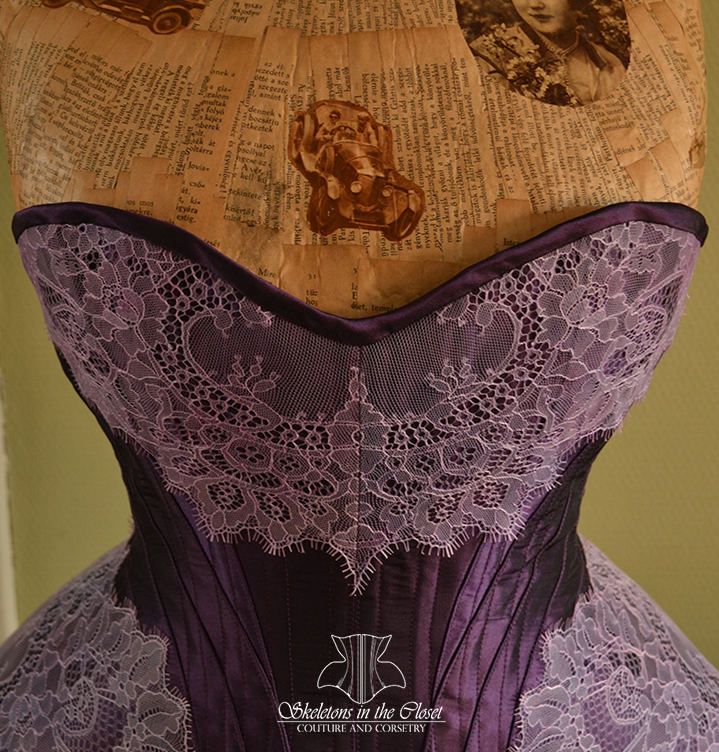 Would you like a corset like this? Send me an email or use the contact form on the website.